Ever wonder what exactly I use to create my artwork? Well I get that question a lot and so I've put together a comprehensive list of all the things I use and depend on to create my paintings. The first thing you need to know is that my work space is continuously growing and evolving just as I do as an artist. These supplies are what I currently use and trust, but this does tend to change overtime. I'll keep updating this list as I discover new supplies that I can vouch for. Another thing you should know is that these are tools and supplies that I actually believe in. I'm not sponsored by any of these brands of paint, canvas, brushes, etc. These are things I would personally recommend solely based on my experience as a professional artist. I've shopped at many places over the years for the materials I use. I still shop locally when I need something quick, but for most of the supplies I need or for shopping online, my go to place is Dickblick.com . 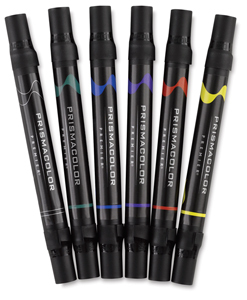 Over the years, I found them to be the most dependable, trustworthy, and affordably priced art supply retailer. I do my very best to provide you as an artist with the best information that I possibly can. I know how difficult and expensive it can be to discover and stay up to date with the best art supplies. This is why my goal is to provide the best help I can for other artists looking for materials to create with. I don't expect anything in return for this knowledge. However, if you'd like to support what I'm doing then there is a way you can do so. All of the links found on this page are affiliate links. 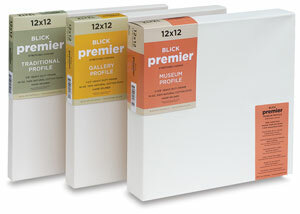 This means each time you visit Dickblick.com from any link located on this page to purchase art supplies, you will be supporting my dream of making an impact in the lives of artists and non-artists alike through the content I share. I'm just so grateful for your support and I will do my best to keep this page updated with the most current information on what I use, know, and trust. Before checking out which acrylics I use you need to understand why I use them. For one, these are professional or "artist" grade paints. I do not recommend any lesser quality paints. Quality is a must. Second, I use both fluids and soft body paints. Fluids are great for fine lines and detail work. They are also good for glazing as the thinner consistency allows them to be washed over large areas with ease. The soft body paints are great for blocking in as they cover very well. They can also be better for blending in some circumstances. When it comes to oil paints I stick to one brand to remain consistent in my work. I have been using Gamblin brand oils for a long time and so it's what I choose to stick with. I also really like Chromatic Black. This is a black mixed perfectly by using complimentary colors and no carbon. Works great for mixing or glazing on deep shadows. 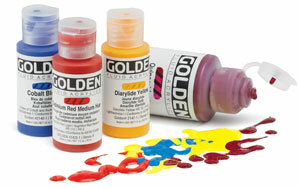 I use an alkyd-based medium which dries fairly quick in terms of oil paints. This allows me to add new layers day to day and frame or ship the painting within a week. I do not use larger than a 4oz bottle as larger bottles tend to harden up inside before it's all used up. These are the only mediums I currently use for oil painting. 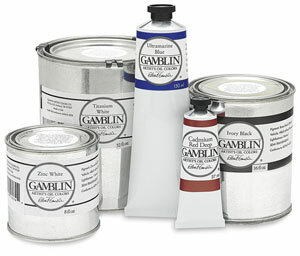 I mix my oils and clean by brushes also with Gamblin's Gamsol odorless paint thinner. When it comes to my brushes, I'm not too picky. I find that I tent to wear out expensive brushes just as quickly as inexpensive brushes with the techniques that I use. I'm very hard on brushes. So this list is what I prefer based on low cost and great performance. You don't need all of the kinds of brushes in each category, but a couple in each is certainly helpful. Oil vs Acrylic? Actually, I use the same brushes for both types of paint. Just make sure that the brushes are thoroughly clean and dried prior to switching from one to the other. Blender Brushes - these are the blender brushes I use and refer to often. Detail Brushes - These are brushes I use for fine detail like fur, eye reflections, and finishing touches. ** I have a new favorite! - The Dagger Striper by Princeton. It creates amazing thin lines and because the load capacity is so high, it can go for a really long time without having to scoop up more paint. Highly recommend it. Filbert Brushes - These brushes I use for blocking in small to medium size areas as well as moderate detail work. They create beautiful soft blends or crisp edges. Flat/Bright Brushes - These brushes I use to cover larger areas quickly and for blending larger objects such as clouds. Fan Brushes - I don't use fan brushes often, but when I do, I like these two. 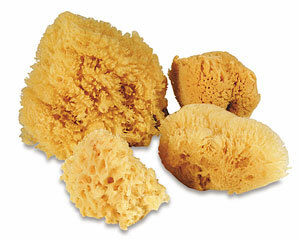 Sponges - I use these often for adding texture to rocks or similar objects. When it comes to the surface I paint on, I like texture. I painted for years on gessobord/MSD panels and eventually moved away from them as I found them too smooth. I like the paint to be pulled off my brush easily and be able to work more efficiently which a bit of canvas texture can do wonders for. Stretched Canvas - When I paint on anything typically smaller than 18x24", I prefer stretched canvas with 1.5" stretching bars. These are fantastic canvases if you're on a budget! I've used and liked both often throughout the years. If quality and longevity matters to you, or if you plan on painting something large, then these high-end canvases fit the bill. The best part? They won't break the bank! 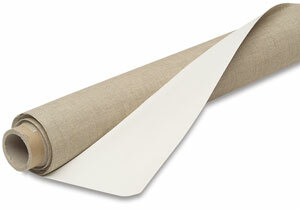 Rolled Canvas - This canvas I used to make my high quality canvas panels. I cut and mount the rolled canvas to a hardboard panel. How to mount - I use a PH neutral glue and glue it to a piece of hardboard. I will be posting a video on the steps I take to mount the canvas to board. In short, I thin the glue down with water, spread it out evenly to the board, place cut canvas on top, and smooth it out with a flat edge. To dry I place it on a flat board with another flat board on top with weight added to sandwich it until dry. To finish, I fold the edges around to the back and glue them down. Gesso - The gesso I prefer to use when applying extra coats which I normally do to my store bought canvas. I spray my acrylic paintings with Krylon Crystal Clear spray prior to painting over the top with oils. I spray my drawings with Krylon Workable Fixatif. This works also for sealing my initial drawings on canvas prior to painting over the top. Here's a list of other things around my work-space that I use on a daily basis. If you like working with canvases larger than 18x24, I would recommend a heavier duty easel. I have mine mounted to a wood base so it can handle more weight. I use a palette knife for mixing paint often and various little tasks I can find. If you've been following my work, you know that I also love to do my mixed media drawings on paper. I use Prismacolor brush markers along with the Golden Fluid Acrylics listed above to create these works of art. Here are the supplies I use for those drawings. Paper - I create these drawings on a heavyweight mixed media paper by Strathmore.